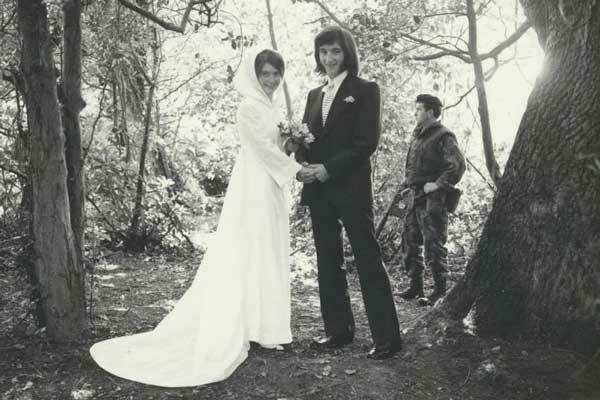 Mum and dad were married on 15th July 1972 in Londonderry – at the height of the Troubles in Northern Ireland. There had been systematic bombing of the city the whole week before the wedding and on the day their reception venue had been commandeered by the British Government for an emergency summit. The army were patrolling the grounds. My parents had met at university and went on to become teachers. 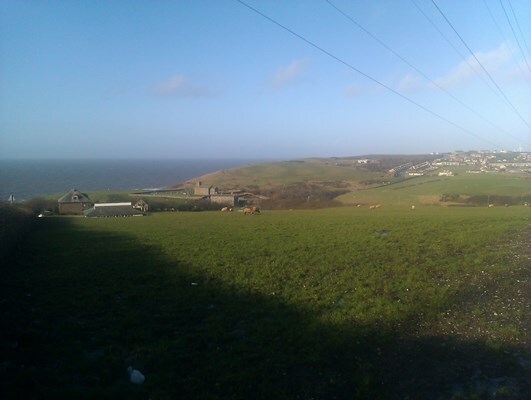 Dad grew up in Lowca – a village on the old West Cumberland coalfield. His first job was working in the brickworks attached to the local colliery and his second job was working as a miner at the Honister Slate Mine. His capacity for hard physical labour also made him a great rugby player and he was playing first class rugby by the time he was 17. Also a fine artist, he attended Art College, became an art teacher and later a professional artist. 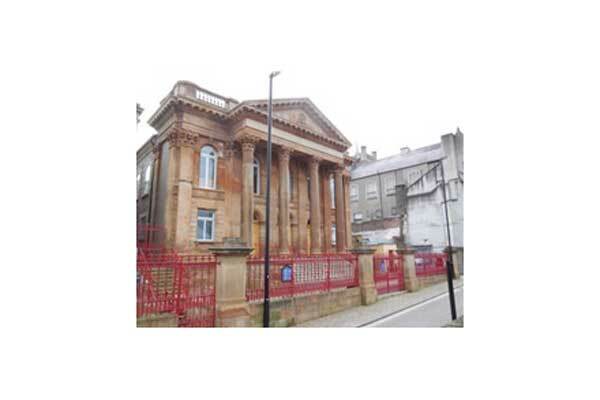 Mum’s family were poor but proud Presbyterians who lived adjacent to the Fountain Estate in Londonderry. My grandmother was widowed when my mother was nine. Upon his death, my uncle, who was fourteen, was pressurised into leaving school and gaining employment in order to provide for the family. My grandmother wouldn’t have it and instead went out and got a job in a shirt factory in order to ensure her son could stay in school. She endured many years of disapproval from relatives for her decision but her son finished school, graduated from university and qualified as a teacher. When my mother took the eleven plus, she didn’t expect she would be able to attend grammar school because of financial constraints, but she scored the highest mark in the whole of the city. As a result, her primary school headmaster together with the church minister met with my grandmother and persuaded her to send her daughter to grammar school and promised to help her through any financial difficulties. My mother achieved everything her brother had done, became a secondary school headteacher at the age of 39 and went on to become an influential figure in UK education policy during the tenure of the previous Labour governments. My grandmother’s life – characterised by harsh but respectable poverty – stands as a testimony to what can be achieved when people refuse to allow obstacles to get in the way of aspiration. Her legacy continues to inspire me today. 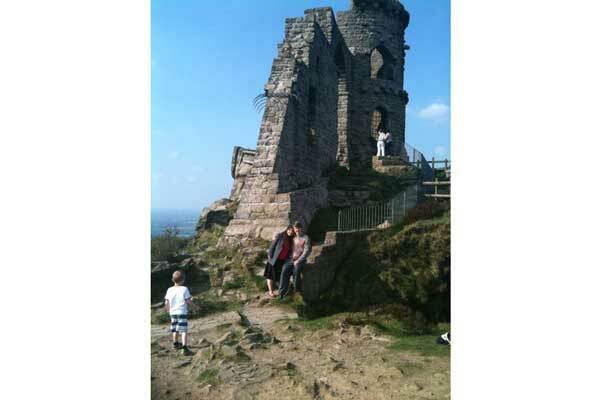 Granddad worked at the Micklam Colliery in Lowca. He was a Check Weigh man and it was his job to weigh the pieces of coal and sort them accordingly. He later worked as a labourer at the Sellafield nuclear plant and in the Workington aluminium industry. He and Nana were pillars of the local church, serving at various times on the Parochial Church Council. Dad’s maternal grandparents were Harry and Sarah Cowx. 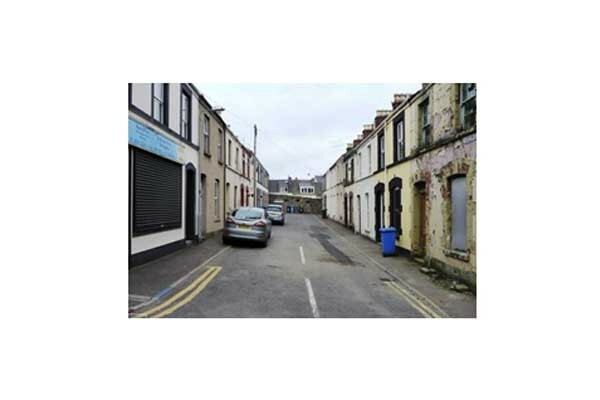 They also lived in Lowca – indeed dad, his parents and brother lived with them until they were able to move into a house (prefab) of their own. Harry was a coalminer in the local colliery and had also served in the cavalry during the First World War where he was always having horses shot from under him. Harry was active in the local Labour Party and when my dad was a small boy, he used to go out campaigning with him. 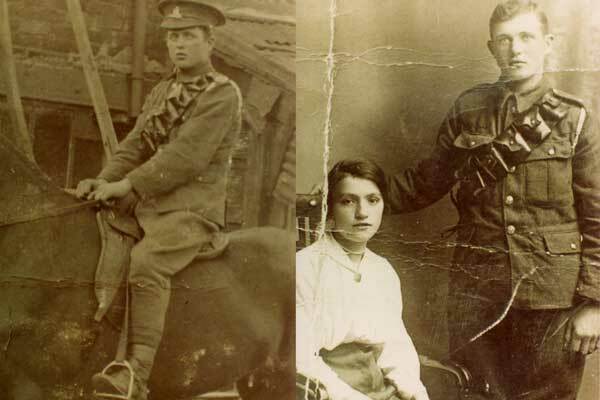 Sarah had spent the war working in the munitions factories in Burnley and she married Harry in Zion Baptist Chapel in Burnley in 1919. Harry’s son (“Young Harry”) and son-in-law (Sid) also worked in the coalmines along with my granddad. Young Harry died prematurely in the 1980s of respiratory illnesses related to his work in the coalmines. I have clear memories of him talking to me about socialism when I was a small girl. Sid married young and had five children before his untimely death in a coalmining accident. We always remained close to Sid’s family. Sarah Cowx’s father was William Carr. He came from the Carr family of Carlisle who had started the Carr’s Biscuit factory. The “black sheep” of a respectable and prosperous family, he ended up on the west coast of Cumbria where he worked as a blacksmith in the local coalmines in the days when the coal wagons were pulled by horses. Dad remembers him as a well-educated man, well versed in political theory. 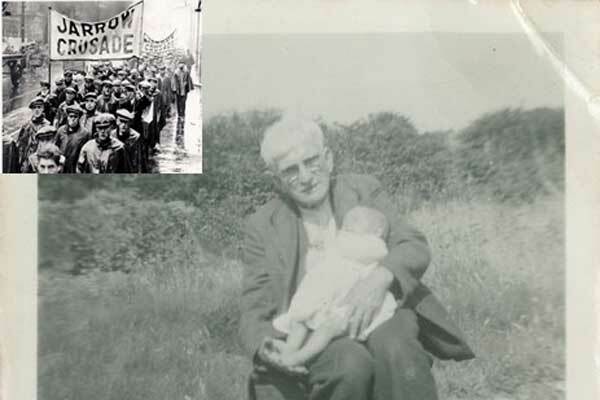 He had helped to organise supplies to the Jarrow Marches in 1936. Primitive Methodism played a crucial role in the founding of the Independent Labour Party. Its system of training Lay Preachers meant that working class men and women were trained in public speaking and leadership and this gave them the skills to gain prominence in politics. Records show that more than 20% of the Labour MPs in Parliament in the 1920s where Methodist Lay Preachers. My paternal family – the Stalkers – were prominent Primitive Methodists at that time. 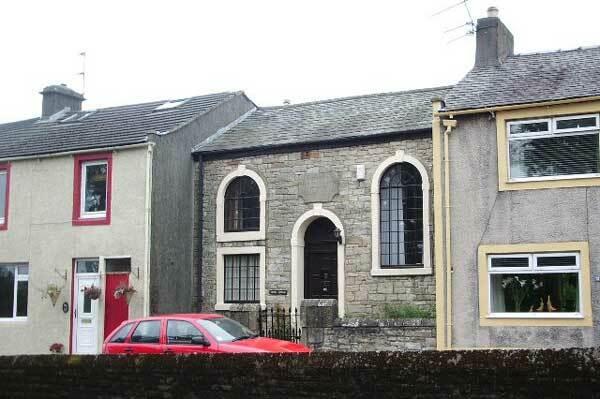 My Great Great Grandfather started a Methodist chapel that was known colloquially as “Stalker’s Chapel”. One of my maternal ancestors, George Lapsley, was a prominent Scottish Covenanter. He was imprisoned for fighting English forces who were ruthlessly suppressing religious freedom for the Presbyterians. Lapsley faced charges of high treason which he refused to recant in court and instead made a “very bold” defence of his faith. Miraculously, he managed to escape prison and a certain death sentence. Some time after this he made it to Ulster, along with many others who were searching for religious freedom. Many of these would carry on their search in the “New World”. 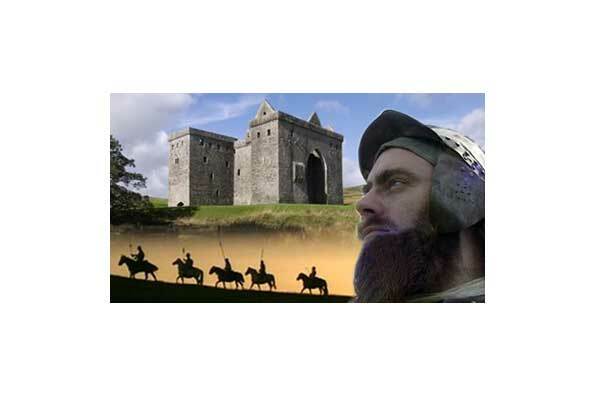 Both my Northern Irish and West Cumbrian families trace their ancestry back to the Border Reivers – clans that had lived on the border of England and Scotland since at least the Middle Ages. Because of their location, the Border Reivers tended to be in the firing line every time there was a war between England and Scotland and they would lose everything. This made them deeply distrustful of government – and outsiders – and they had to live by their wits, often turning to robbing raids “reiving” to survive. To the English and Scottish governments, the Border Reivers were feared but they were also useful because they acted as a human shield between the two countries. When James VI of Scotland became James I of England and the two kingdoms were united, the Border Reivers had served their purpose and the king removed them to the Ulster Plantation where they were perfectly suited to policing the borders with the rest of Ireland . Many of their descendants ended up in the New World where they lived on the frontier between the American Indians and the European settlers. 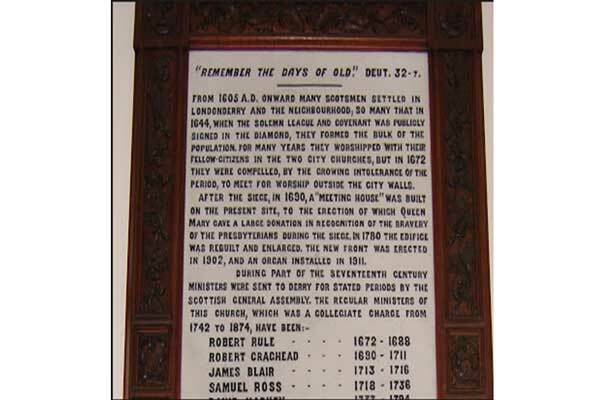 Upwards of 400,000 Ulster Scots settled in the American colonies over the centuries and over a third of US Presidents are amongst their descendants. Their reputation for hard work, piety, stoicism, courage, tenacity, bravery – and some might say sheer bloody-mindedness – took them to the top in the New World. It is a privilege to have the same blood flowing through my veins. 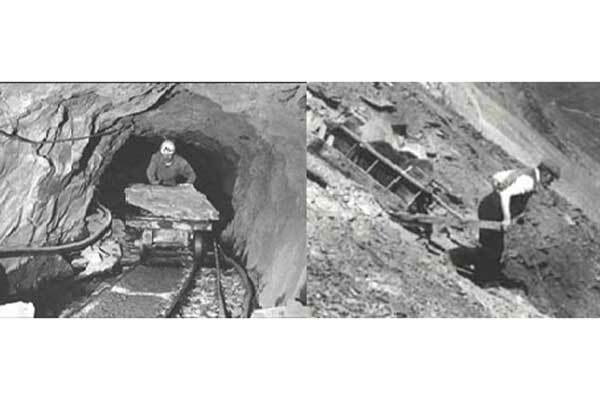 Dad’s work at Honister Slate Mine involved lugging pieces of slate down the steep mountainside. 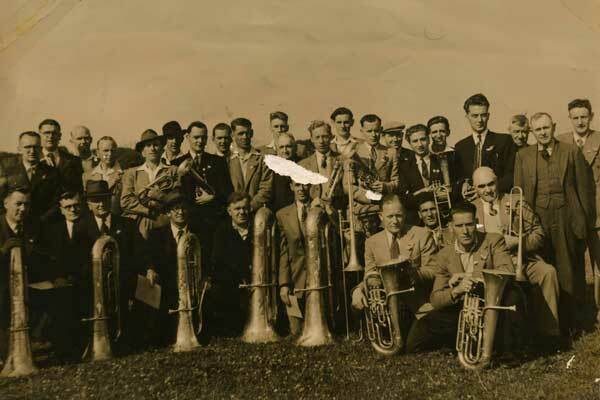 Lowca Colliery Band: Granddad is on the back row, fifth from right; my Great Grandfather, Harry Cowx is second from right.